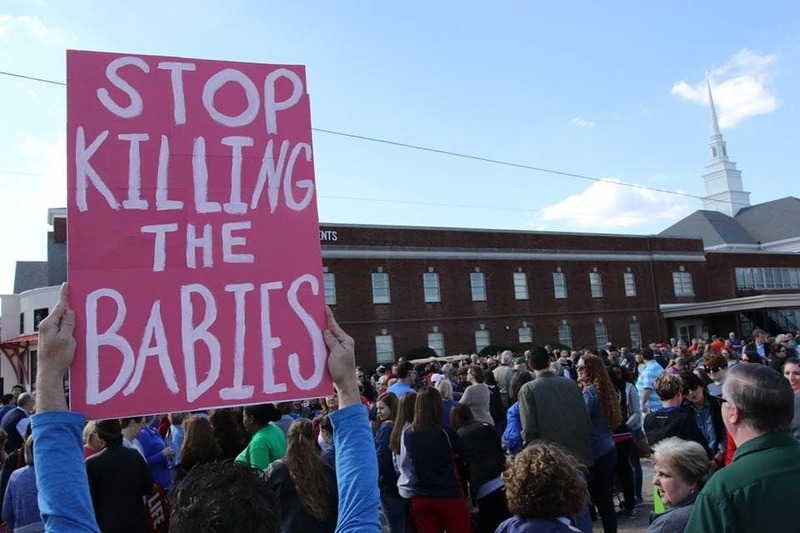 ALEXANDRIA (LBM) –Even as the legislatures in New York and Virginia announced bills to legalize the killing of babies up to the moment of birth and even those who had survived abortion, Louisianans gathered on multiple weekends around the Pelican state to declare that the lives of the unborn and the just born matter here. 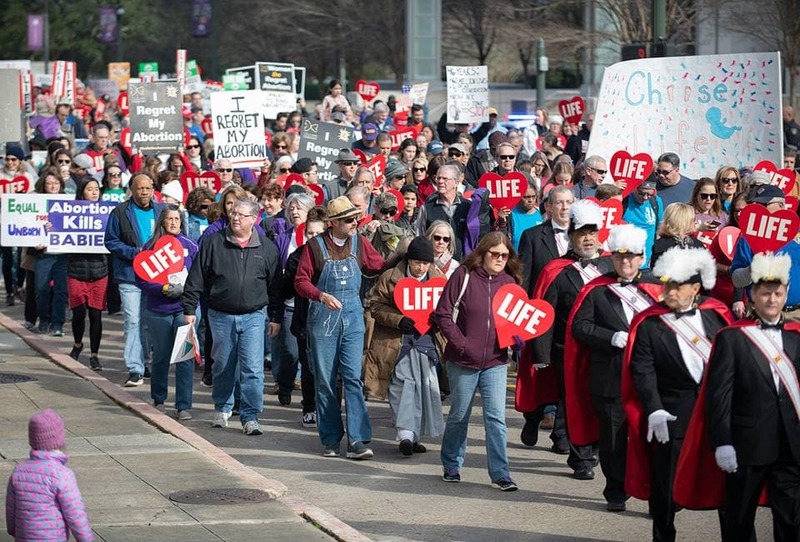 According to information provided by Louisiana Right to Life, a crowd of 500 gathered in Lake Charles, Jan. 22; 3,000 assembled in Baton Rouge and 6,000 marched in Shreveport/Bossier, Jan. 26; 3,500 participated in Monroe/West Monroe, Jan. 27; and, another 7,000 rallied in Alexandria/Pineville, Feb. 2. 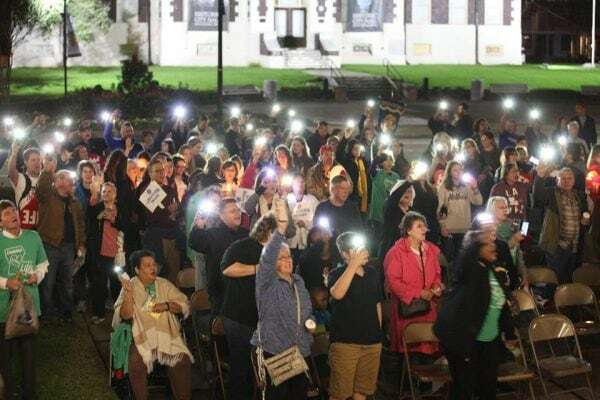 Organizers announced that the Alexandria/Pineville march was the largest pro-life gathering since Louisiana Right to Life began holding life marches in 2011. 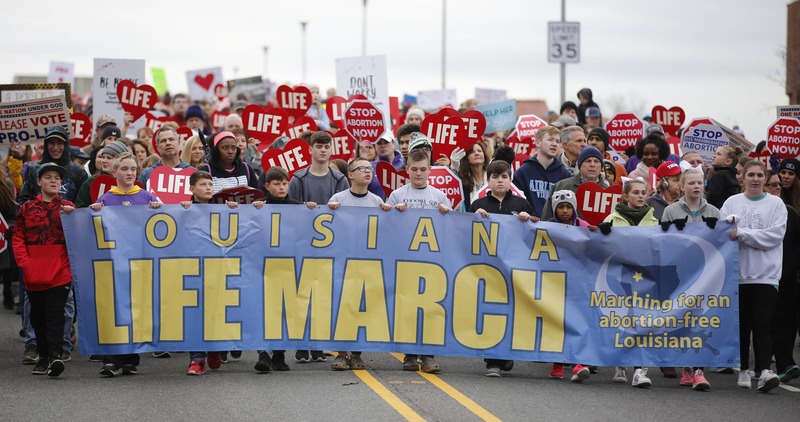 The Louisiana Life Marches, organized to declare mass opposition to the Supreme Court’s Roe v. Wade decision that legalized abortion in 1973, were held at a time when other states were making moves to pass radical pro-abortion legislation. New York Gov. Andrew Cuomo signed the Reproductive Health Act into law Jan. 22, legalizing abortion up until birth of the baby. 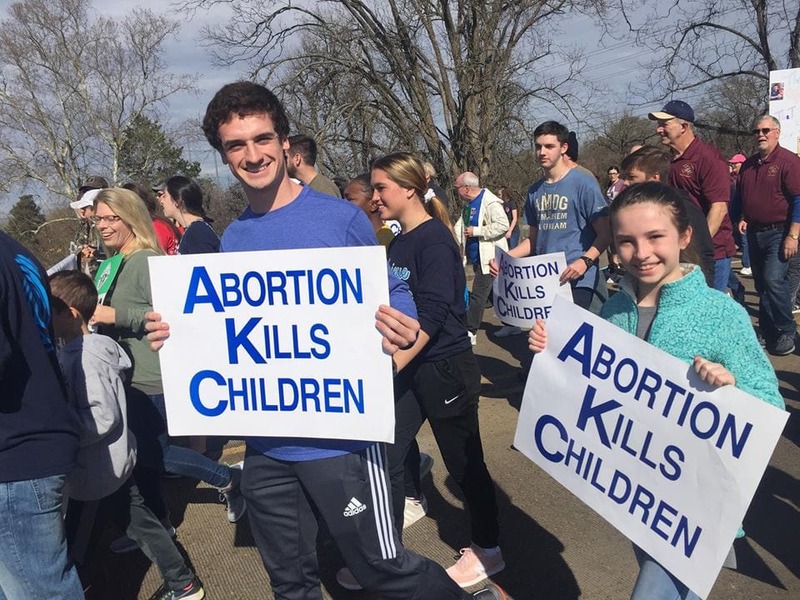 Abortion already was legal during the first two trimesters, and the new legislation added legalized late-term abortions for the “health” of the mother, without defining “health” – meaning that the language is broad enough to allow basically any possible late-term abortion. The law also decriminalized abortion, moving the regulations from the criminal code to the health code, and it repealed a section of New York’s Public Health Law, which had mandated medical care for any baby born alive during an abortion. This last change essentially allows doctors to let a baby who survived an intended fatal procedure to simply die from lack of care on the operating table. 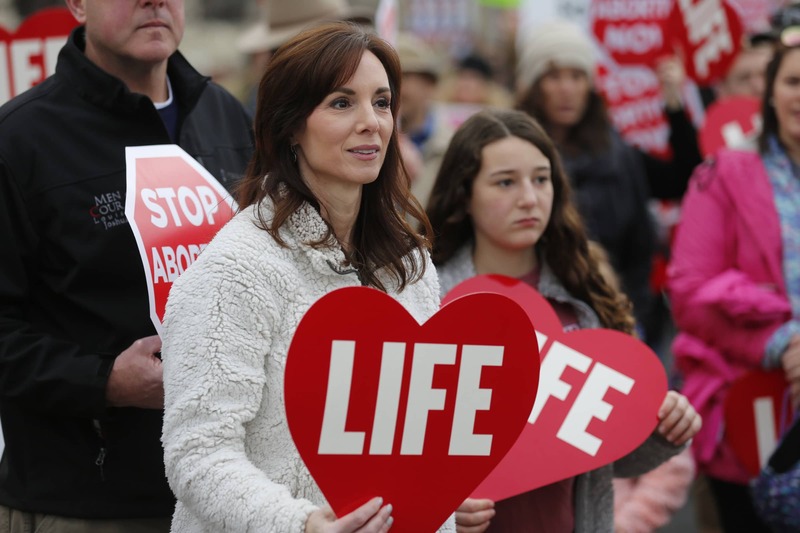 Pro-life lawmakers in the Virginia Senate, mostly Republicans, defeated a similar bill the following week after the legislation’s author, Kathy Tran, a Democrat, admitted during testimony that the proposed code would allow the abortion of baby even as it was being delivered at full term. Virginia Governor Ralph Northam (D) added to the firestorm against the bill by explaining during a radio broadcast that in the situation described by Tran that the baby would be delivered and “resuscitated if that’s what the mother and the family desired, and then a discussion would ensure between the physicians and mother,” leaving open the possibility of what would happen next. Action taken in New York and Virginia are remarkably different from the continuing efforts by lawmakers in Louisiana to protect human life. 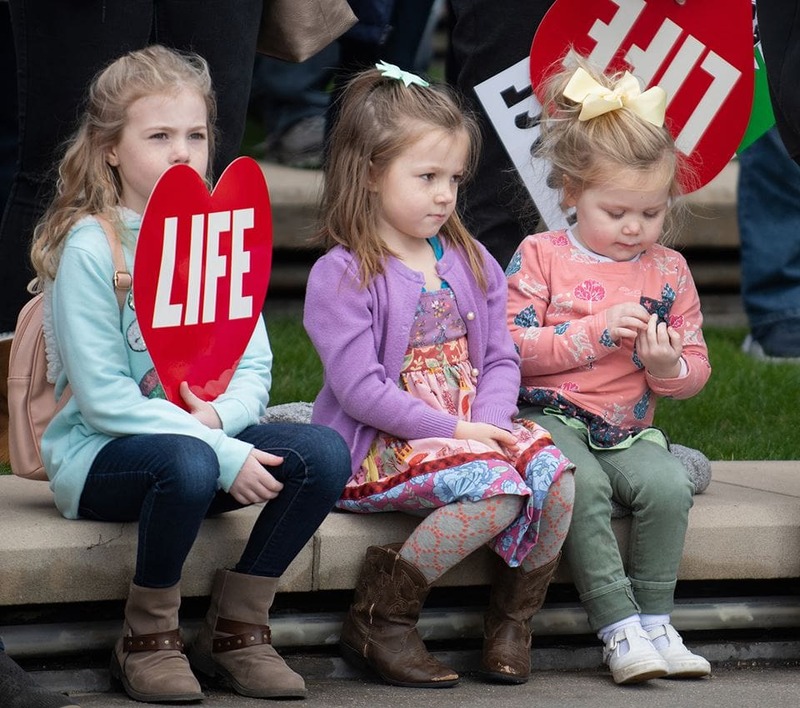 Known as one of the most pro-life states in the Union, Louisiana has enacted far-reaching protections for the unborn, including children diagnosed in the womb with a birth defect or a condition such as Down syndrome. 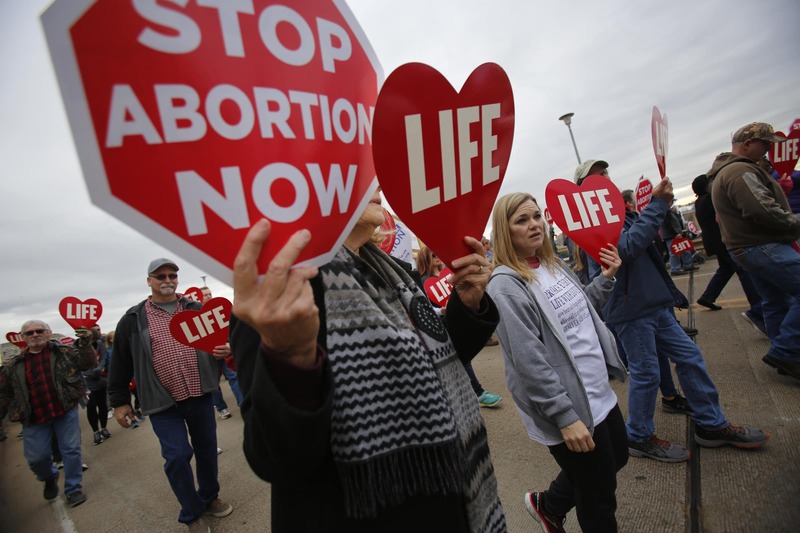 Moreover, a bill prohibiting abortions after 15 weeks was signed into law and is awaiting enforcement while a similar Mississippi law is being reviewed in federal court. Likewise, Act 620 was passed in 2014, requiring abortion doctors to have admitting privileges at a local hospital. The law was set to go into effect Jan. 28, but U.S. Supreme Court Justice Samuel Alito issued an order Feb. 1 that delayed the decision until at least Feb. 7. Louisiana Attorney General Jay Landry has filed a petition asking the U.S. Supreme Court to lift the stay and allow ACT 620 to be enforced as law. 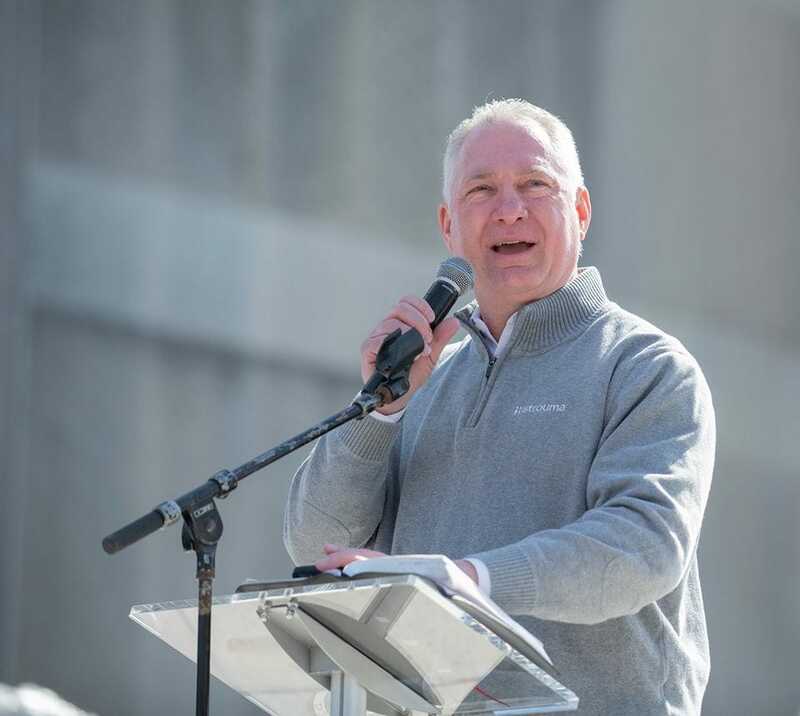 Alexandria physician Greg Bevels shared how his then-14 year old mother made the decision to choose life for he and his twin sister, both who weighed less than 4 pounds when they were born nearly three months after Roe v. Wade became law. 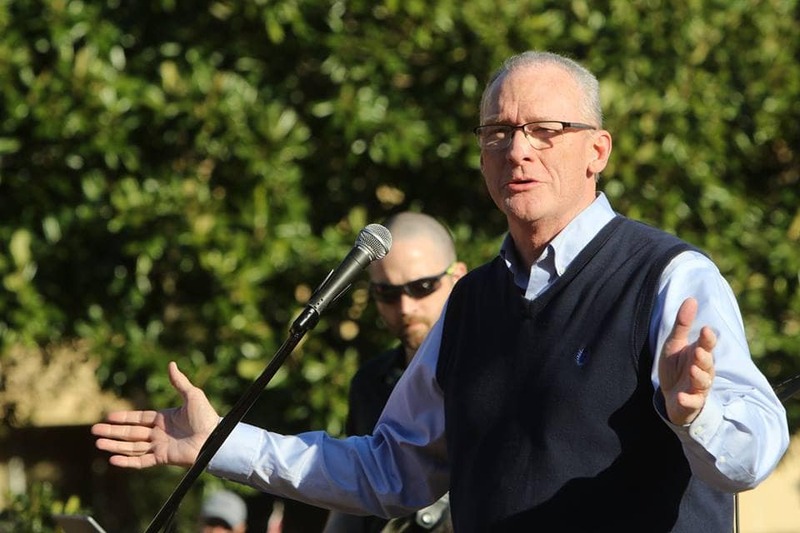 Bevels said he chose not to become involved in the pro-life movement until, in 2018, the Holy Spirit convicted him to become active and host a prayer vigil outside his clinic opposing possible abortions performed by Rashonda Dean at her nearby facility in Alexandria. 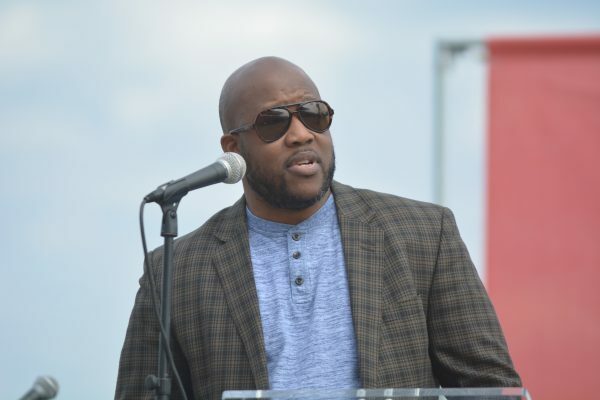 He encouraged African-American ministers and other pastors to become involved in this movement during the post-march rally. “Your pulpit is powerful,” said Bevels, a member of the Calvary Baptist Church in Alexandria. “Your pulpit is where we give the unadulterated Word of God. Spiritual surgery takes place there. Bevels also urged young people to become active in supporting life. “You are the hope of this generation,” he said. “Whatever decision that you make concerning this human rights issue we are facing is what is going to help bring about change. A few citizens that get their mind focused can bring about change. Louisiana Right to Life CENLA Coordinator Brian Gunter, also pastor of First Baptist Church, Pollock, referenced the passage of the recent pro-abortion legislation in New York, telling the crowd such an effort is an example of how abortion lobbyists are attempting to destroy the moral fabric of America. “They want abortion to be legal on any unborn baby, at any time, and for any reason at all,” he said. 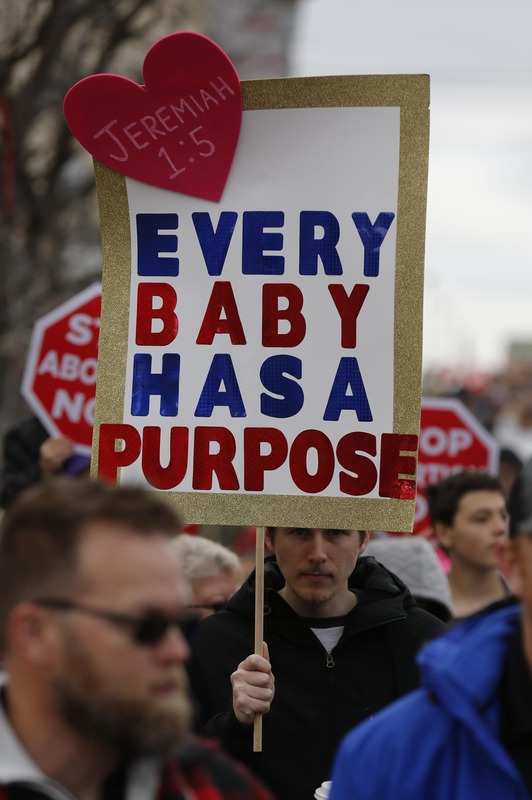 He encouraged the crowd to do their part to ensure that every baby in the womb is a person whose life must be protected. Claire Lemoine, director of the CENLA Pregnancy Center, said more than 225 women have been served since the center opened in December 2017. She told the crowd they now offer, in addition to pregnancy tests, consultation and education, a post-abortive Bible study. Louisiana College President Rick Brewer expressed disbelief that some pro-abortion groups advocate for an animal to have more rights than a human being in some states, such as New York. He said individuals who make such laws have not experienced the transformational power of the Gospel. “The Bible states that spiritual matters are spiritually discerned,” he said. “But those who do not have the Holy Spirit of God dwelling in their hearts have minds that are subject to all kinds of evil. State Rep. Katrina Jackson spoke at the Monroe/West Monroe march, Jan. 27, reinforcing the message she gave as a featured speaker at the National Life March in the nation’s capital on Jan. 18. “I told Washington D.C., in Louisiana we fight for life because no blood is more innocent than that of a baby who is in the womb who knows no sin,” she said. “We know that abortion is wrong and this march is all about giving women choices. 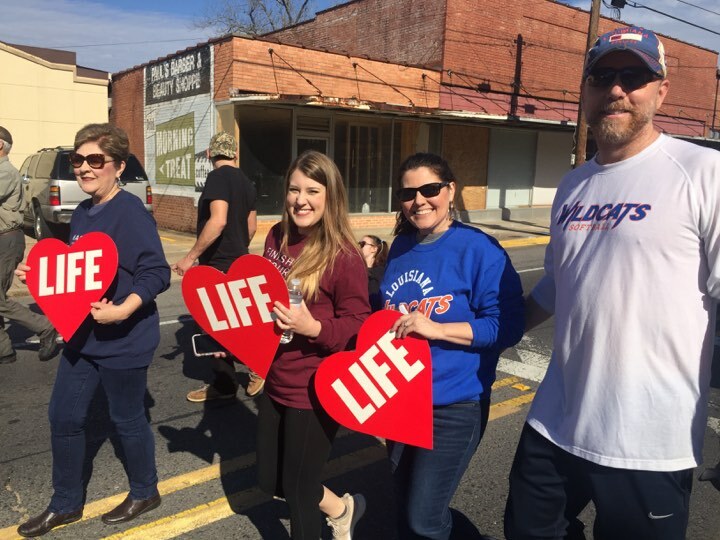 Michael Wood, pastor of First West Monroe, said he was honored to partner with so many churches in the area as they marched for life. Likewise, state Rep. Frank Hoffman told the crowd he was hopeful Roe v. Wade would be overturned one day. 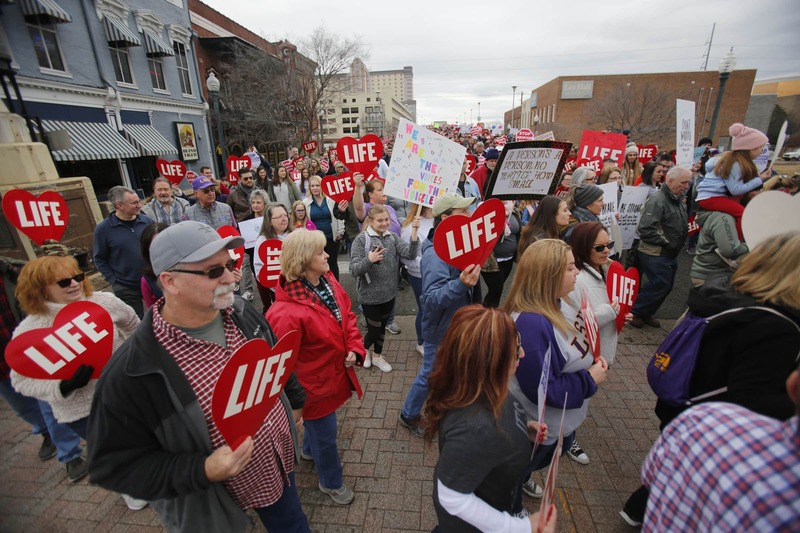 “Today is a very exciting time to come together as one of different people, different churches, different political parties, different schools, but together as pro-life,” said Hoffman, a member of First West Monroe. Congressman Ralph Abraham, a member of Alto Baptist Church, encouraged the crowd to continue standing for life. “If you don’t do it, nobody else will,” he said. “The more we learn, the more we learn that life does begin at conception — and we will continue to beat that drum. “We as God’s children have a responsibility to promote and continue to teach our children what is right and what is wrong in this world and in God’s faith and in His sight,” he continued. 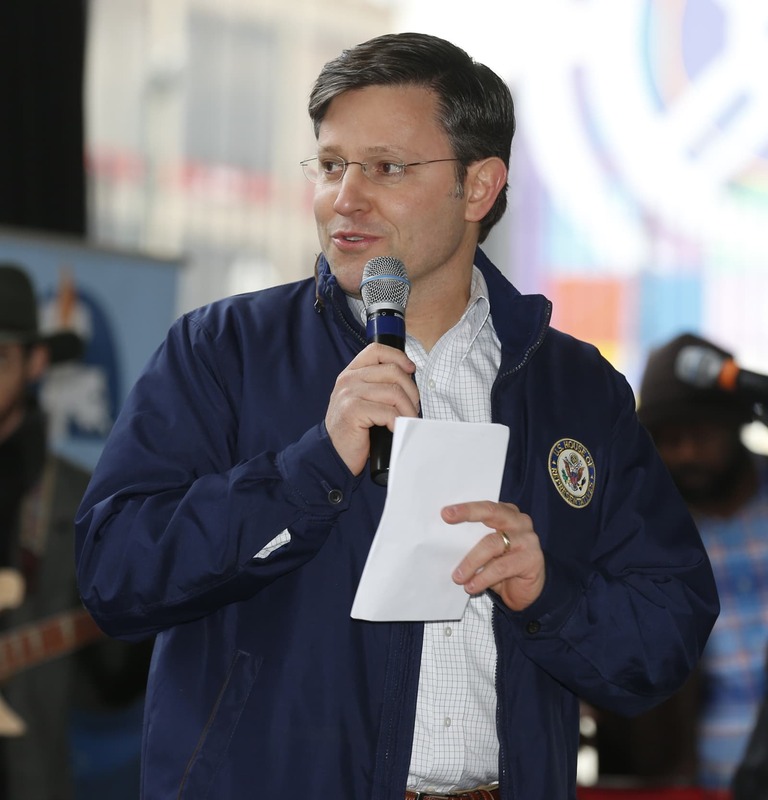 Congressman Mike Johnson told the crowd in a post-march rally that while Bossier City, Shreveport and the rest of the state saw an overall decrease in abortions in 2017, the most recent statistics available, he grieved that 3,560 babies were aborted that year in area clinics. 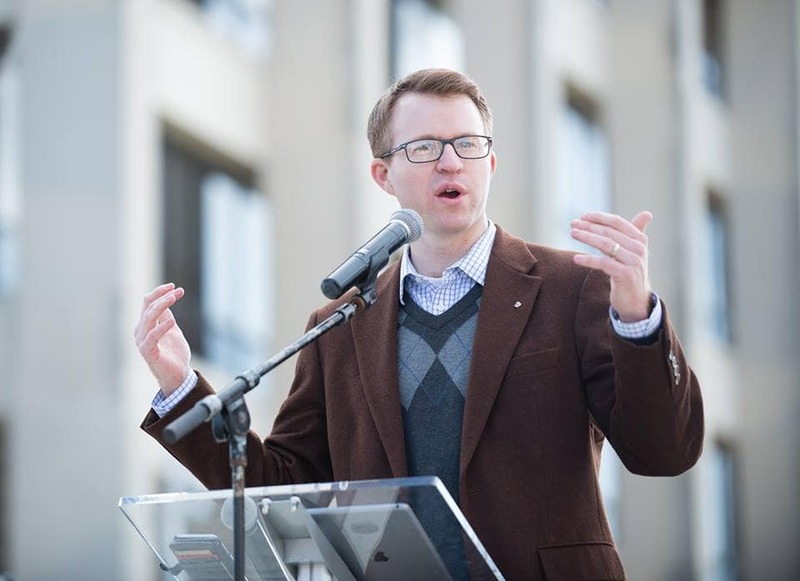 Johnson’s pastor, Brad Jurkovich, delivered a prayer asking for God’s forgiveness for the abortions we have allowed in our country. He also asked for the strength and resolve of the biblical character Esther to continue the fight. 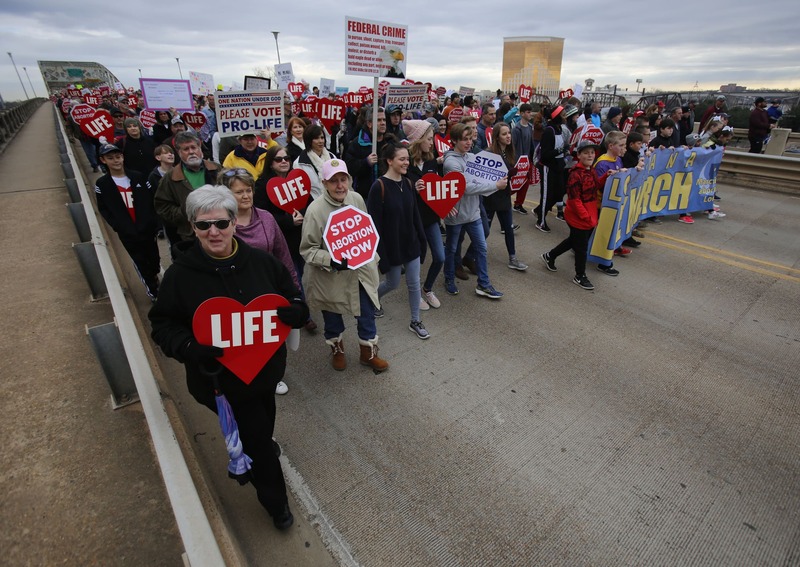 The threat of rainfall did not dissuade pro-life advocates from attending the first-ever Life March in Lake Charles. Instead, 500 marchers gathered for a candlelight vigil at Veterans Memorial Park at the Lake Charles Civic Center and then proceeded en masse to the downtown area. 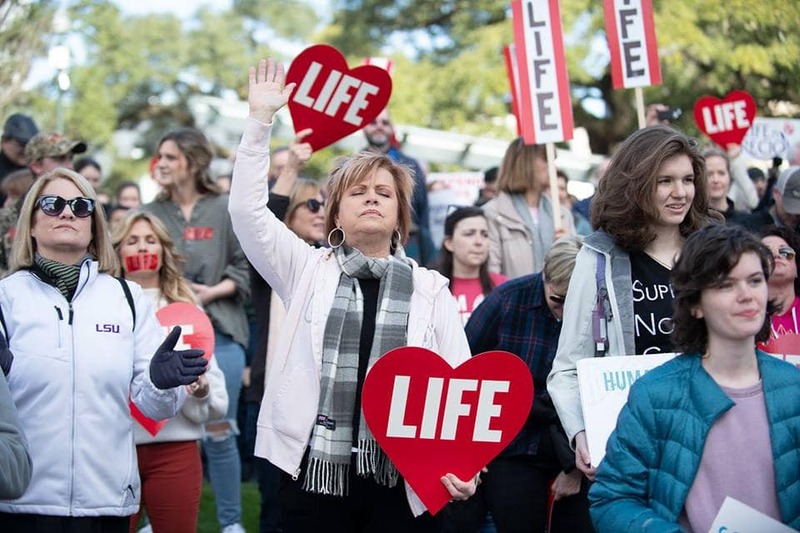 Krista Corbello, youth programs co-director in the Acadiana and Southwest Louisiana regions for Louisiana Right to Life, shared how her mother chose not to abort her. She also emphasized the need for love as the basis for establishing a culture of life in America. 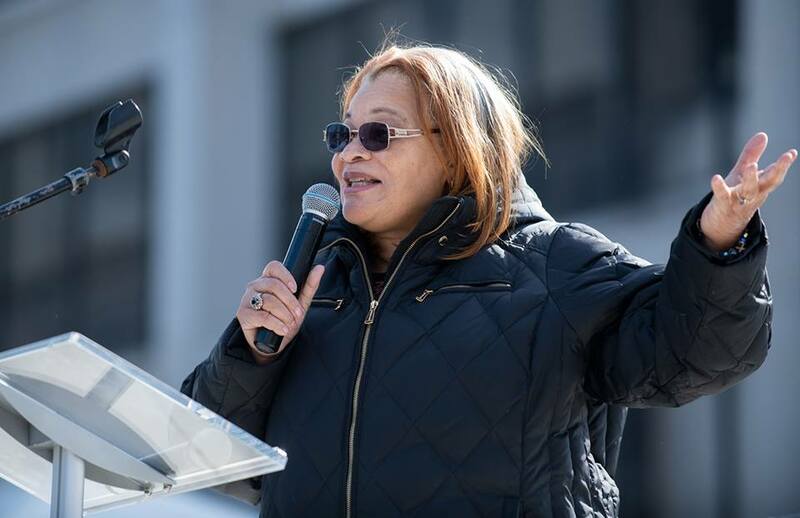 Alveda King, a niece of the civil rights icon Martin Luther King Jr., shared a testimony of how she chose to abort her unborn children, but after the second was killed in 1983 she turned to Christ. She now is a pastoral associate and the director of Civil Rights for the Unborn. Citing her spiritual transformation, King said women who have chosen abortion can have freedom in Christ. “Today I’m a voice for Jesus, guided by the Holy Spirit and obeying Abba, God the Father,” she said. 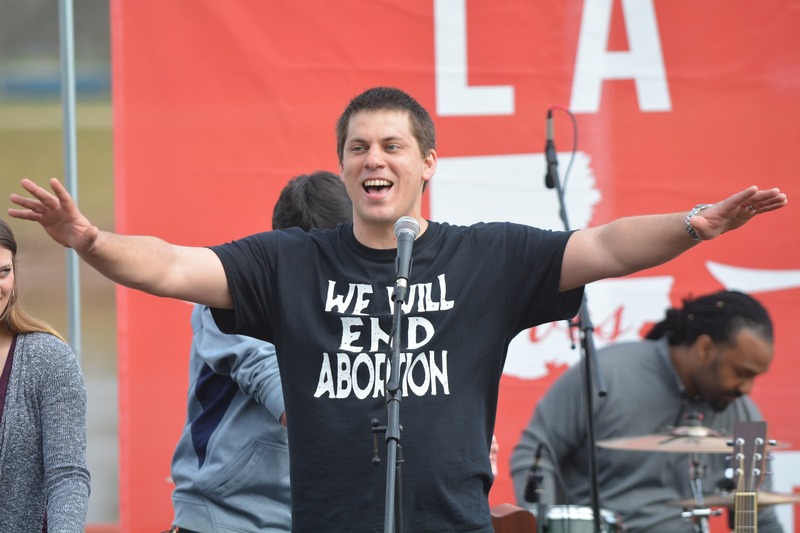 Also speaking to the crowd was Jeff Ginn, pastor of Istrouma Baptist Church, Baton Rouge, who encouraged the crowd to stand for life. He said that while the fight can be overwhelming at times, pro-life supporters should not become discouraged in their work for the Kingdom. 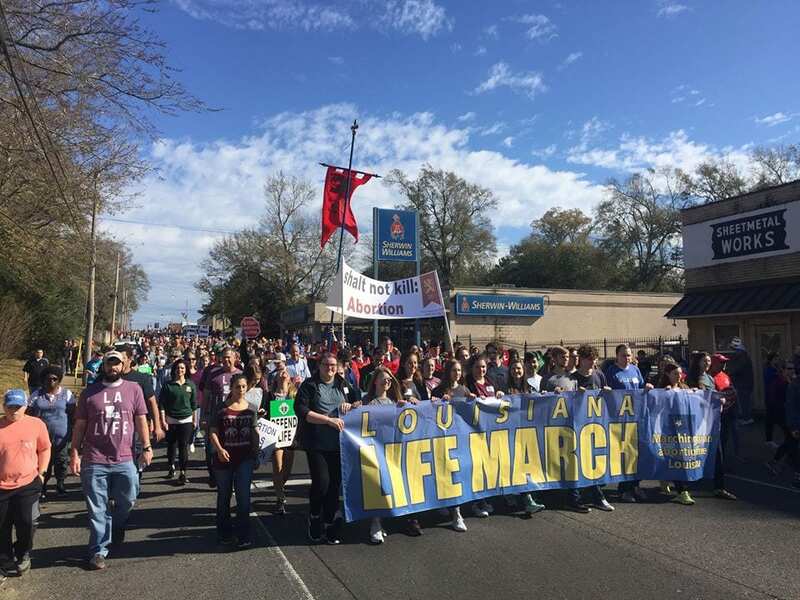 Around 7,000 people attended the 2019 Louisiana Life March CENLA. Two young girls enjoy the Louisiana Life March CENLA. 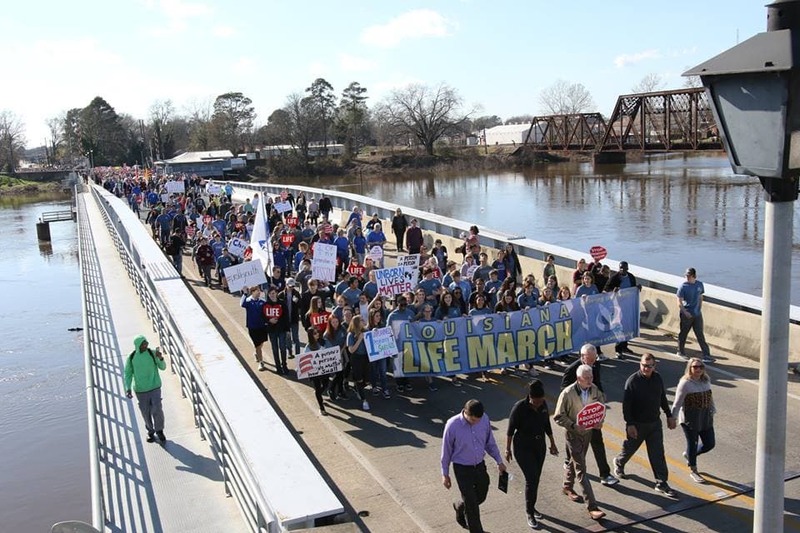 Louisiana Life March CENLA participants make their way to the Alexandria amphitheater. Louisiana Life March CENLA participants make their way down Main Street in Pineville. 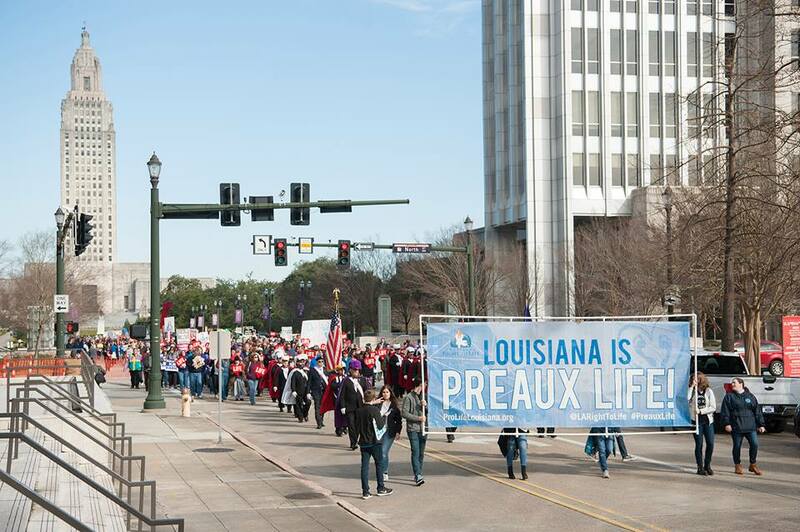 Students proclaim an important message during the Louisiana Life March CENLA. 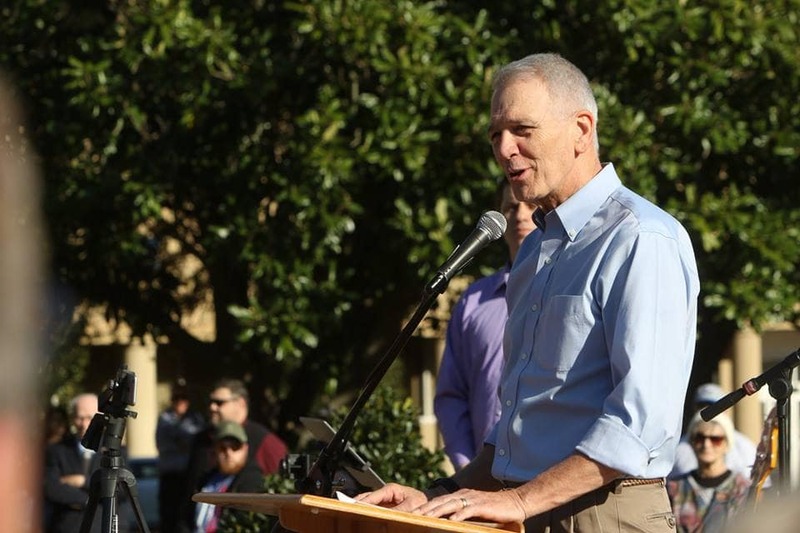 Brian Gunter, pastor of First Baptist Church, Pollock, and founder of the CENLA Pregnancy Center, proclaims that life matters. 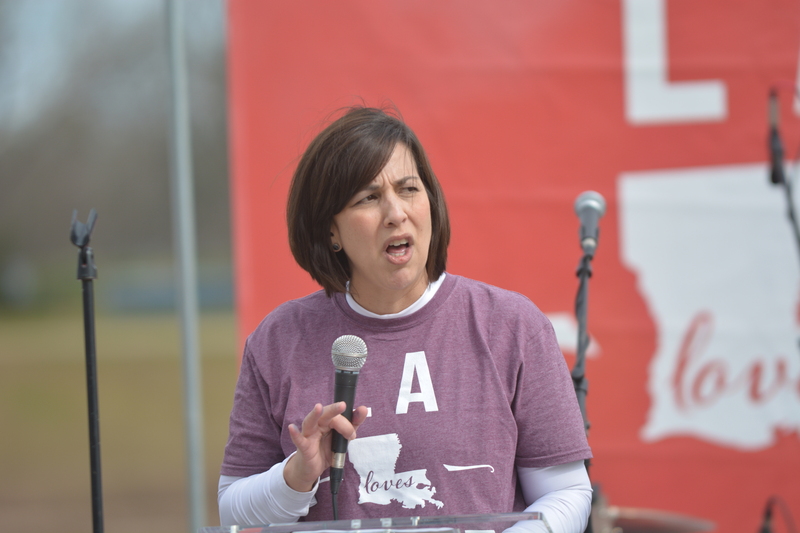 Claire Lemoine, director of the CENLA Pregnancy Center in Alexandria, shares how her center has helped saved lives of young women who considered abortion. Louisiana Life March Southwest participants carry a banner. 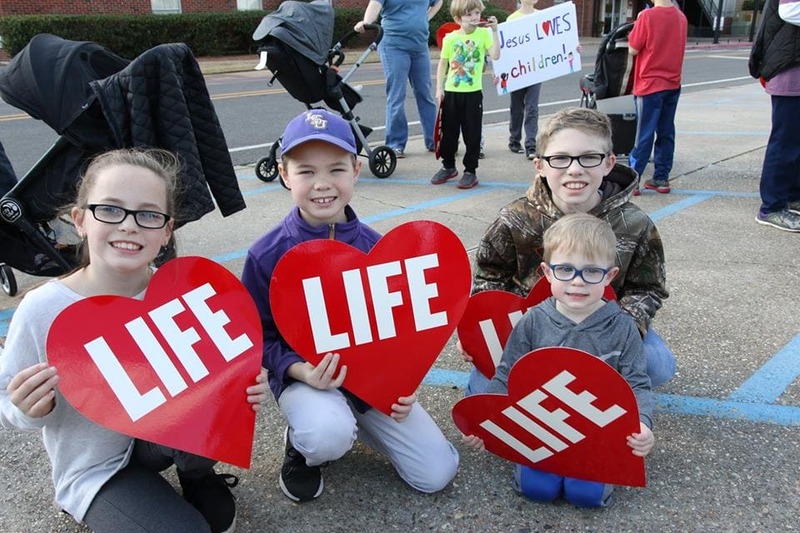 Youngsters proclaim their love for life at the Louisiana Life March Southwest. Congressman Mike Johnson says a few words at the Louisiana March for Life North. Johnson is a member at First Bossier. 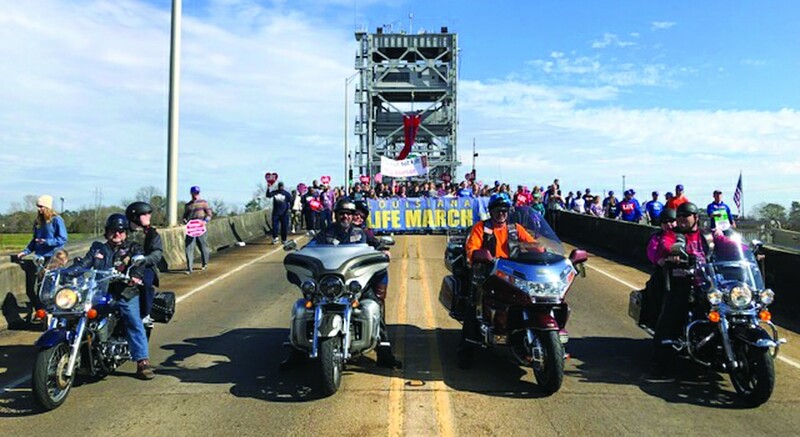 Right to life supporters march across the Long-Allen Bridge between Shreveport and Bossier City during the Louisiana Life March North. 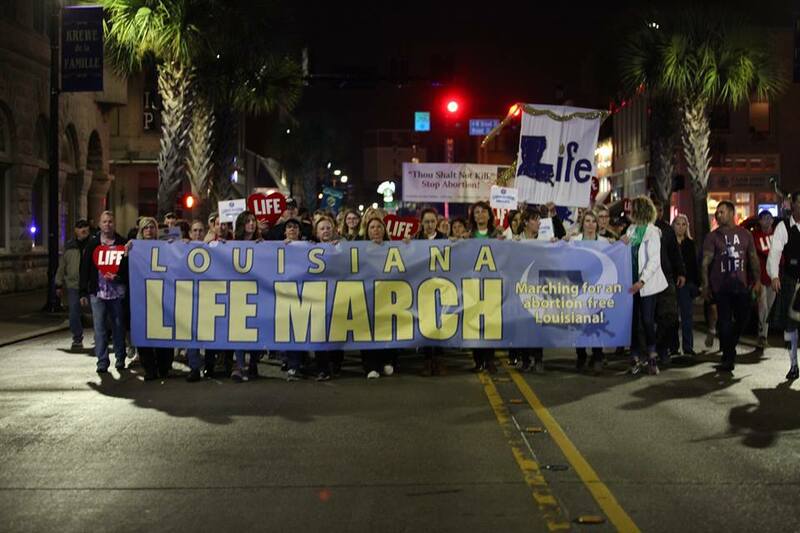 Supporters at the Louisiana Life March North lift their hands to heaven. 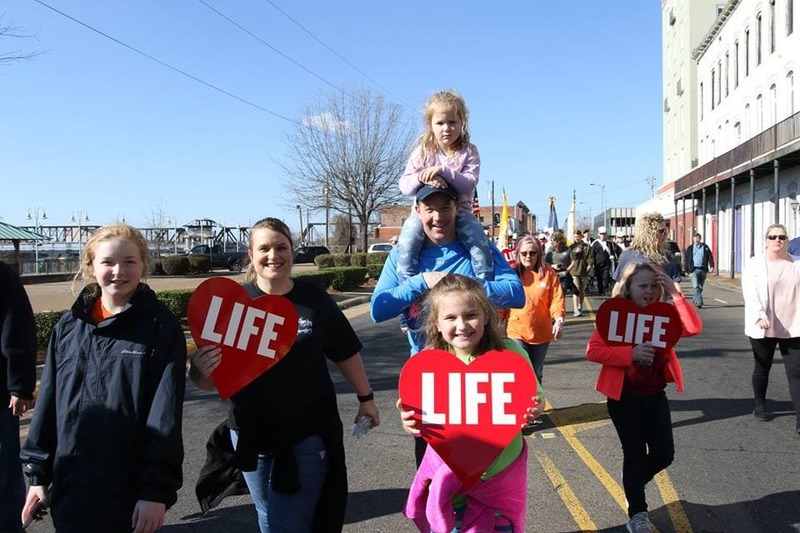 Louisiana Life March Northeast participants declare their love for life Jan. 27, 2019. 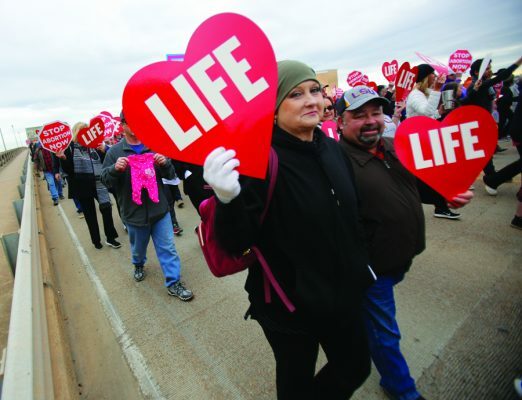 More than 20,000 people participated in one of five life marches in the state this year. Louisiana Life March Northeast participants gather for a pre-march rally at First West Monroe. Louisiana Life March Northeast participants declare their love for life. 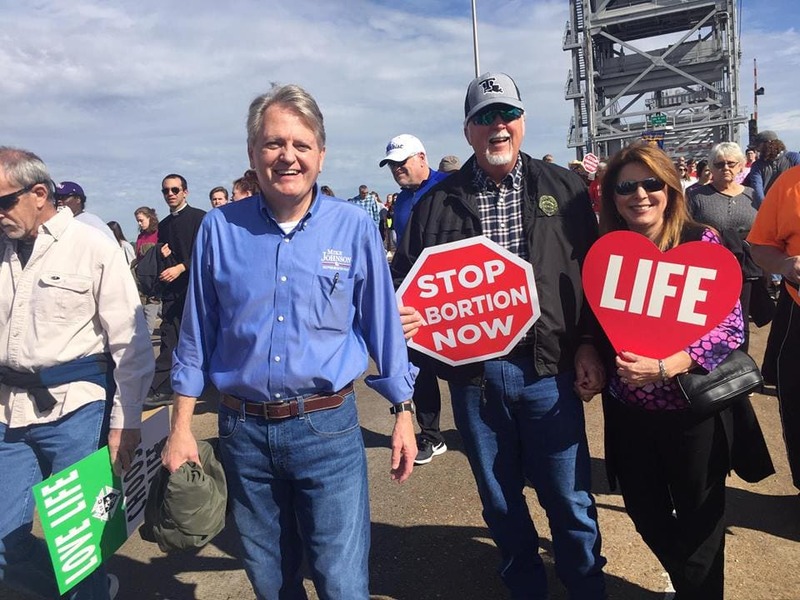 Congressman Ralph Abraham, a member of Alto Baptist Church, thanks pro-life supporters at the Louisiana Life March Northeast. 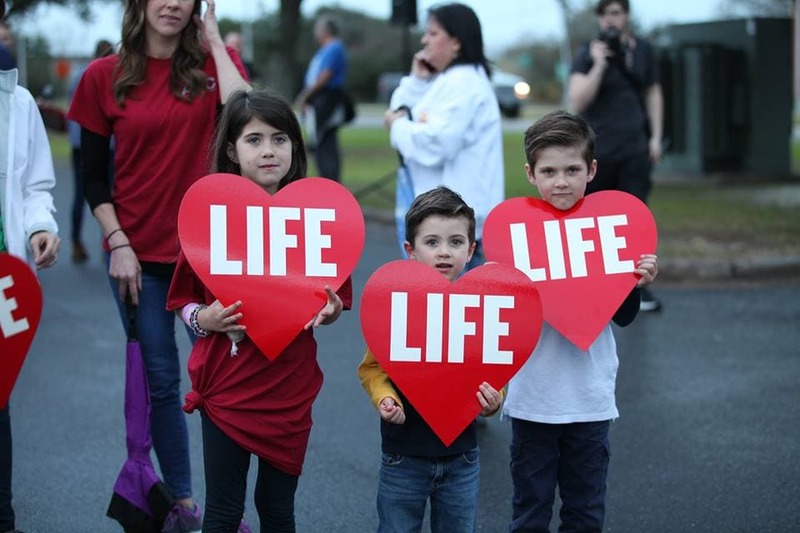 Louisiana Baptist Children's Home President and CEO Perry Hancock shares about the value of life at the Louisiana Life March Northeast. 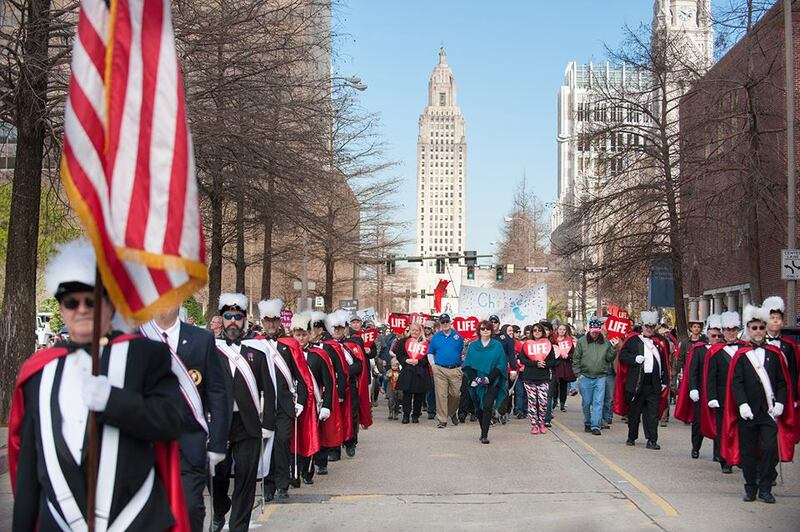 More than 3,000 participate in the Louisiana Life March South. 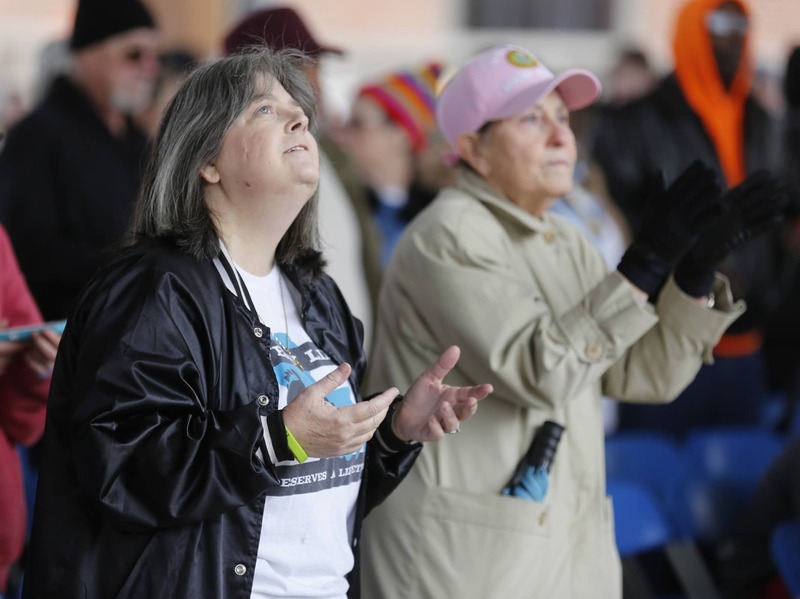 A woman lifts her hands to heaven at the Louisiana Life March South. 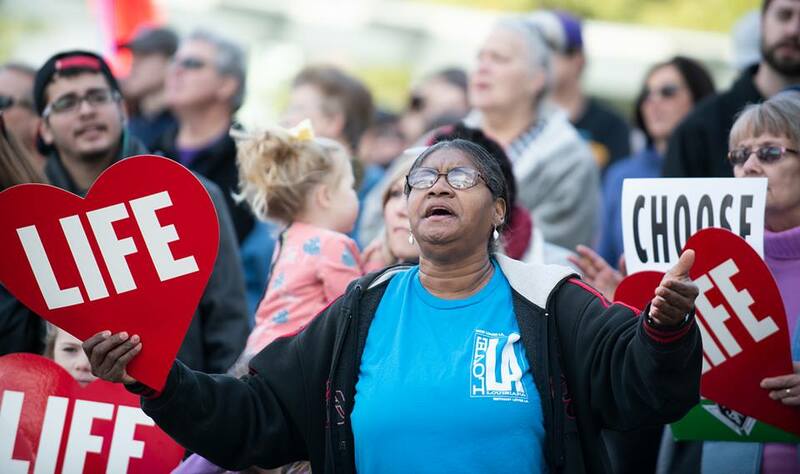 A woman praises the Lord during the Louisiana Life March South. 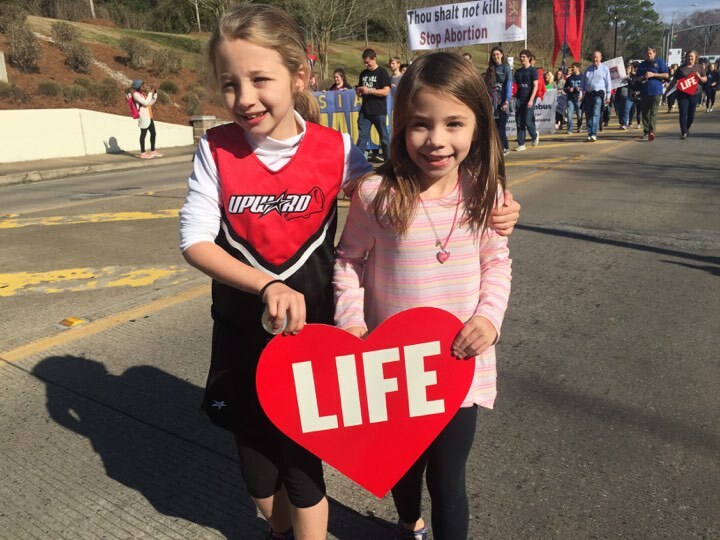 Youngsters enjoy the Louisiana Life March South. 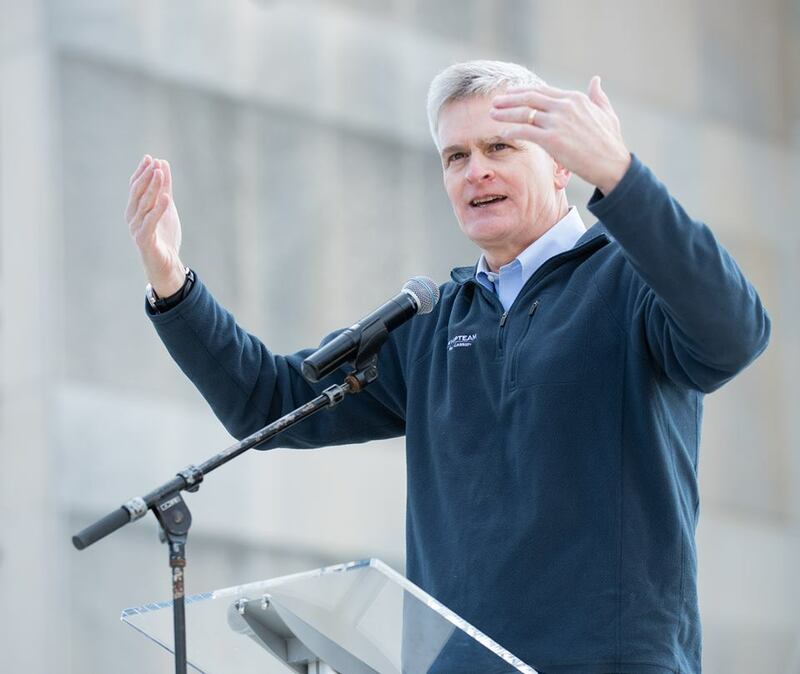 U.S. Sen. Bill Cassidy thanks Louisiana Life March South participants for their role in the pro-life movement. Ben Clapper, executive director for Louisiana Right to Life, addresses the Louisiana Life March South participants. Alveda King, the niece of famed civil rights leader Martin Luther King Jr., shares her testimony at the Louisiana Life March South. Jeff Ginn, pastor of Istrouma Baptist Church, Baton Rouge, addresses the crowd at the Louisiana Life March South.